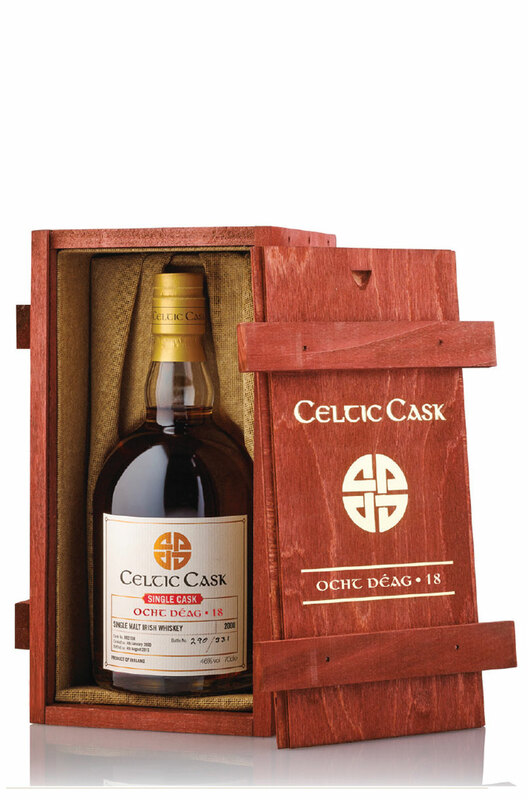 Celtic Cask Ocht Déag is a double distilled single malt that was initially matured in a Bourbon cask for 14 years. It was re-casked in a 53 litre Oloroso sherry barrel which was custom made from an old 500 litre solera cask. It was then matured for a further 18 months leaving the whiskey with rich and complex flavour. This superb whiskey is already a staff favourite and will sell out very quickly. Taste Sweet, juicy & full-bodied. Almost savoury and meaty. Touches of dates, raisins & walnuts. Nose Caramel chocolates, dark chocolate chip cookies, mocha, banana fritters, and subtle smoke. Finish Big and bold with lots of cask influence. Bottling Date 10th November 2016. Casking Date 10th May 2001. Types of Barrel used for Aging FInished in an Oloroso 1/4 cask for the final 18 months of maturation. Celtic Cask Cuig Deag is our fifteenth special release and is another great example of a perfectly m..